Empire actor Jussie Smollett was attacked in a hate crime against him in Chicago last Tuesday, by two men wearing “Make America Great Again,” or MAGA, hats. 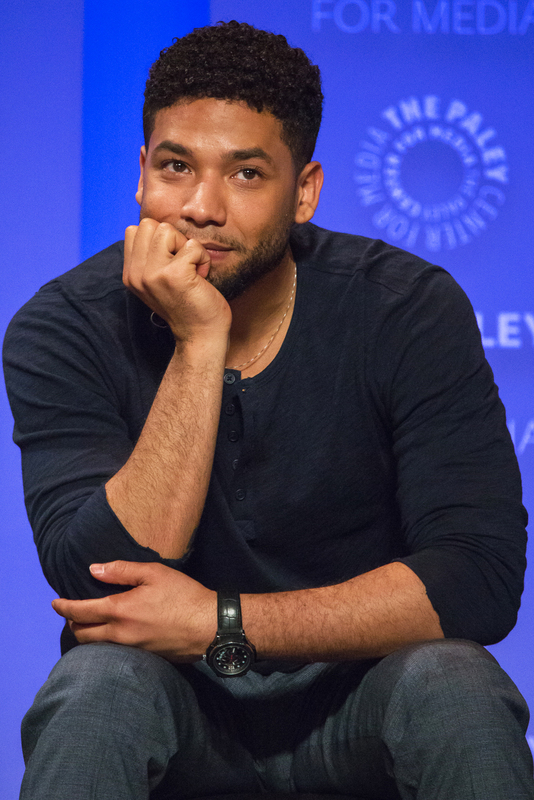 The two men called him racist and homophobic slurs after identifying him as the character Jamal Lyon from Empire. In the show, Lyon faces adversity within his community for being a gay musician. Smollett himself is an activist and member of the LGBTQ+ community. His attackers poured chemical substances on him, put a noose around his neck and ultimately hospitalized him. Because the attack is still being investigated, police are calling it a “potential” hate crime. But it would be hard to deny that this attack wasn’t a racially motivated or homophobic act, especially because of the slurs directed at Smollett before he was attacked. The use of the noose in the attack too-closely reflects lynching symbolism. Historically, these were used to murder and intimidate black civil rights activists for hundreds of years. The use of lynches seems like some torture tool from the past — a racist and bigoted past. But it’s clear that these intimidation tactics are still being used, and they are still sending the same violent messages. Obviously because the attack is still being investigated, a verdict of the motivations cannot yet be determined. But to say that this attack was not a hate crime is to erase centuries of violence against black Americans and LGBTQ+ individuals. This isn’t the only case of lynching symbolism in America recently. In 2018, two black men from Oklahoma were lynched by a white family. The was ultimately not deemed to be racially motivated by investigators, but it would be ineffectual to deny the role of the noose in the crime. And this is not the only homophobic attack either, not by far. According to the FBI’s 2017 hate crime statistics, 1130 out of 7175 hate crimes were based around sexual orientation. This doesn’t account for the crimes that weren’t reported. The point is, Jussie Smollett’s attack is not a one-off case. Being both a black man and an LGBTQ+ member, the chances of this attack being hatefully motivated are high. The same report that identified which hate crimes were sexual orientation-based also reported that hate crimes have increased by 17 per cent from the previous year. If it’s possible to conclude that lynching symbolism is representative of centuries of racism and degradation against black populations, I would say it’s also possible to conclude that MAGA hats represent something much more sinister as well. The role of the MAGA hats worn by Smollett’s attackers should not be downplayed. Trump himself has a history of condoning violence in his campaigns. In 2017, he was reported to have encouraged police to be violent with potential offenders, saying, “when you see these thugs … please don’t be too nice.” He has also promoted violence against those who protested his presidential campaign, saying he’d defend anyone who hurt his protesters in court. The hate and discrimination that has been incited in recent years seems to have made once-hidden racists and bigots much bolder in their actions. The guise of “making America great” has been cultivating racism. It’s not just a matter of “opinion” or “picking sides.” Claiming allegiance with MAGA has become synonymous with violence, intimidation and oppression. It goes without saying that no one should have to fear for their life because of their sexuality or their skin colour. Smollett has not yet fully healed, but this past Sunday he was set to perform at his first show since the attack. Smollett’s belief that, in order to stop evil and violence, allies and minority individuals must work together to further prevent hatred from festering is, in my opinion, the most viable solution. What better way to combat hate and destruction than by standing tall and persevering despite all odds.